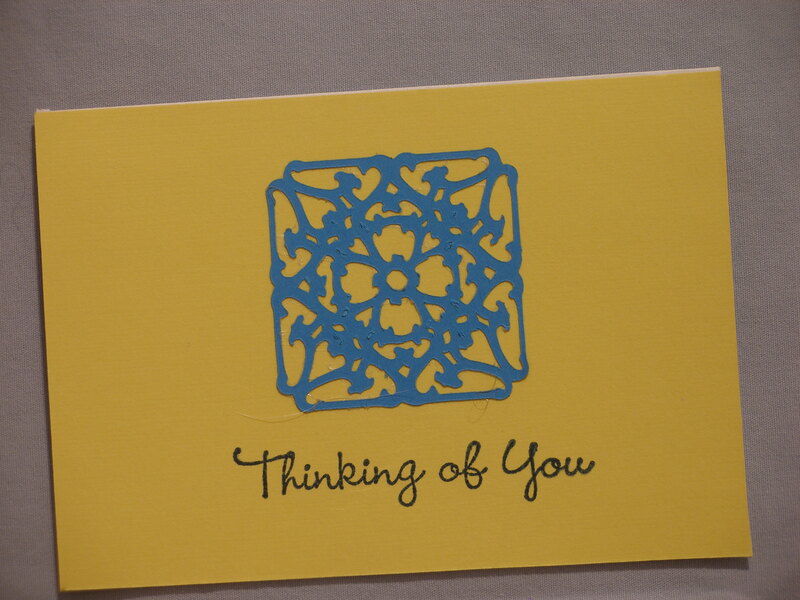 This Thinking of You card was made mainly with the Cricut Paper Lace 2 cartridge. I cut this design using Paper Lace 2 then stamped the Thinking of You below. Mounted on yellow card stock. Inside I cut a border using the Cricut Paper Lace 2 cartridge & attached it across the middle of the card. 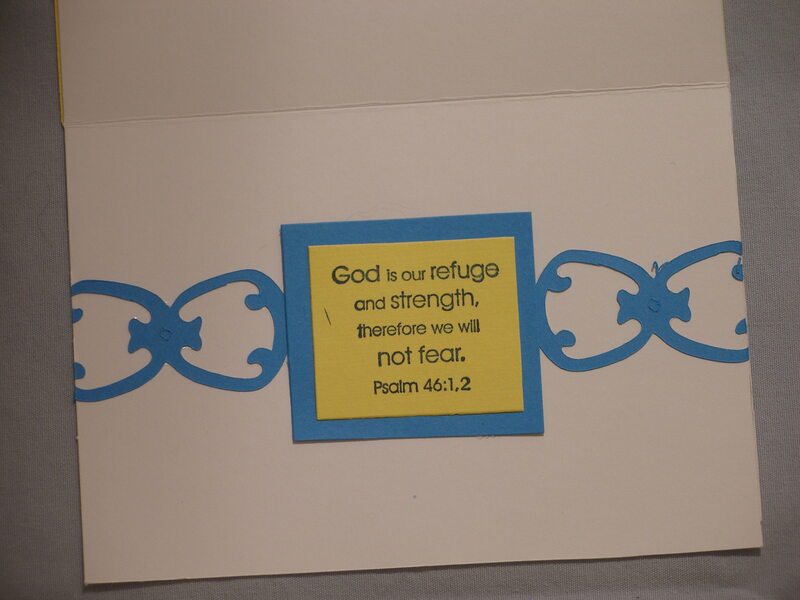 The stamped sentiment is by Stampin Up on the same yellow paper used on the front & framed it in the same blue I had cut out the Paper Lace 2 embellishments. This entry was posted in Cards, Paper Crafts and tagged card making, Cards, Cricut, Paper Crafts, Stampin 'up. Bookmark the permalink. I love this paper lace. It makes me want to learn more about paper-cutting (kirigami). I like this clean design. Thanks Janet. I have a cutting machine called a Cricut & a cartridge that you put in to cut it. Thanks for checking things out. Have a great day. You know I love lace and what you do with paper is amazing!! Simple and pure.